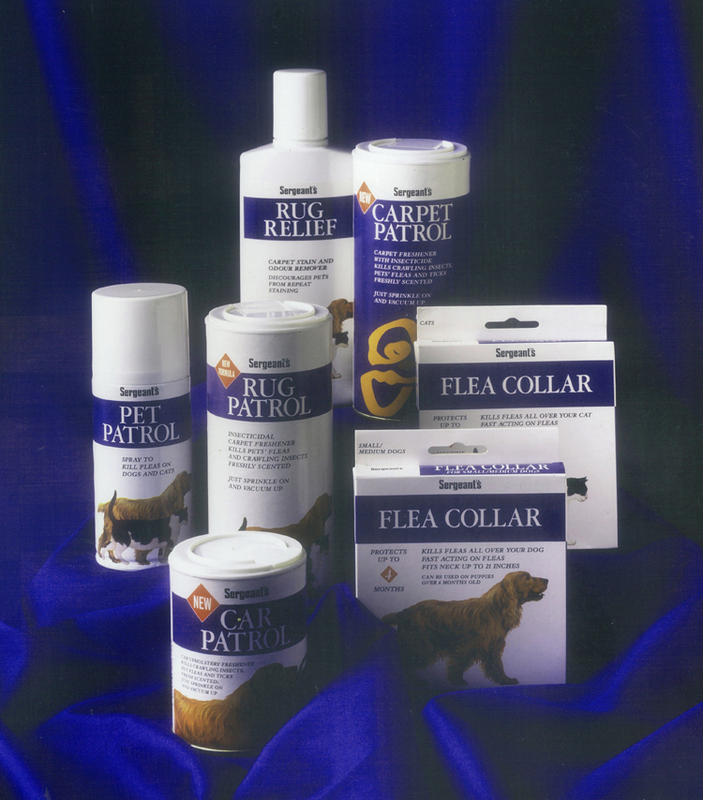 in the UK in the 1990s, with its products being sold in veterinary practices and in specialist pet care shops. The brief was to design a no-nonsene packaging suite. Sergeant’s was seen as a premium brand which did what it said on the bottle; Sergeant’s was confident of its reputation in the market, so the focus was on clarity and simplicity.